Now that the craziness of part one of the holidays is over, it's time to drag out your dusty decorations of tinsel and lights. If you need some background films as you decorate your house and chug your eggnog, here a couple titles for you. One of my favorites from last year, and the film I believed should have won Best Picture. 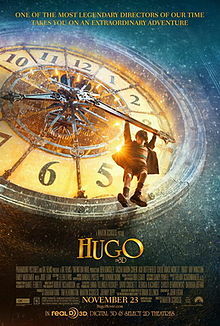 Even though it's advertised as a children's film, HUGO ends up being a mini lesson on the early history of film. It's such an endearing and heartfelt film. Here me out on this one. You may have heard about the craziness of this series, and yes, they are all true. 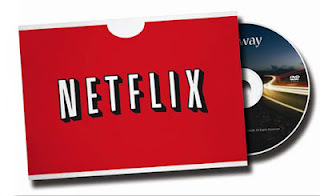 AMERICAN HORROR STORY follows a family as they move into a haunted house. There are ghosts, insane next door neighbors, an unstable family, and of course, a mysterious man in leather. Thankfully, the creators have built this series around telling one story per season, so you will get the full arc without having to wait for season two. 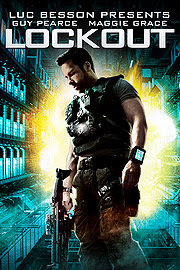 If this movie would have been called SPACE JAIL, it would have praised a lot more. Let's face it, a fun title helps any movie out. This film is not that great, but it is a fun time. And to say one of my own favorite cliches, "It's great with a group of friends." This is a film that you sit back with beer and laugh and point out the insane flaws, inconsistencies, and bad acting. Sometimes, you just need to laugh at a silly action movie.